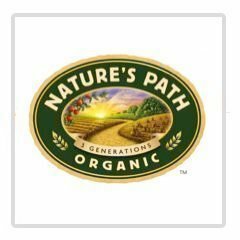 Nature's Path - Boston GreenFest - Aug. 16-18, 2019 - FREE! As pioneers of the organic movement, we believe organic food and farming is the best way to care for our bodies and for the planet. We grow and purchase only certified USDA Organic and Canada Organic ingredients. Our commitment to organic has kept over 70,500 tons of chemical fertilizers and over 1,000 tons of pesticides out of the soil between 2013-2016. We have a goal to be completely carbon neutral by 2020. To do that we’re reducing our use of electricity, paperboard, and CO2 emissions per ton of product produced. We also purchase RECs (Renewable Energy Credits) to support green energy projects in the US. 3. ACHIEVE ZERO WASTE - we did it! Since all 3 of our manufacturing facilities have achieved Zero Waste certification, we would say we can cross this one off the list. But, the work continues in order to maintain our Zero Waste status and do the best for our planet. Organic farming and watershed protection go hand in hand, but we don’t stop there. We also send some of our waste water to a biodigester to be converted to energy, we are implementing an Environmental Management System, and practice eco-efficiency and continuous improvement. We want to make an impact not only by taking action ourselves, but by inspiring others to take action too. We provide sustainability training for all team members, collaborate with and donate to many organizations, maintain an SFTA dashboard, and B-Lab assessments. Through financial contributions, in-kind donations, and volunteerism – we support many initiatives that align with our mission to leave the earth better. Some of these include: hunger relief, endangered species and habitat restoration, youth and environmental education, and more.